CREON IS ON THE COMMITTEE! 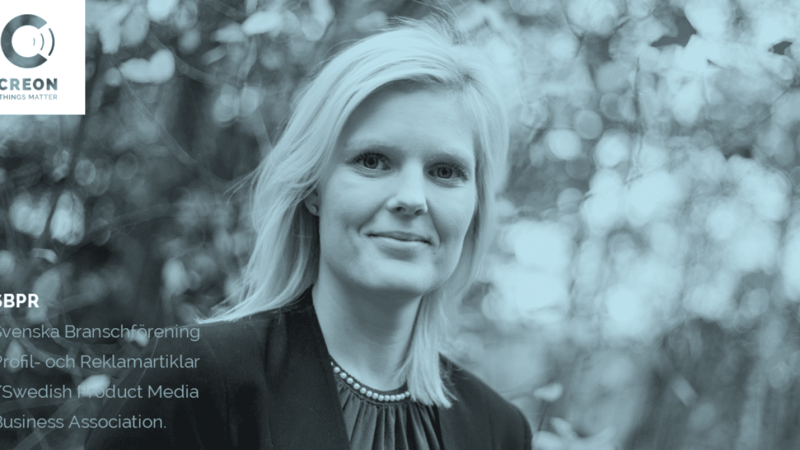 We are happy and proud to announce that Sofie Loberg, Sales Manager at Creon has been nominated and elected to the committee of SBPR (Svenska Branschförening Profil- och Reklamartiklar/Swedish Product Media Business Association). The aim of SBPR is to promote the use of product media in marketing activities and inform about its benefits. It also provides valuable business-related information to its members. Sofie leads the dynamic sales team at Creon and she will certainly contribute to the aims of SBPR from her extensive experience in the field. Congratulations Sofie from everybody at Creon!